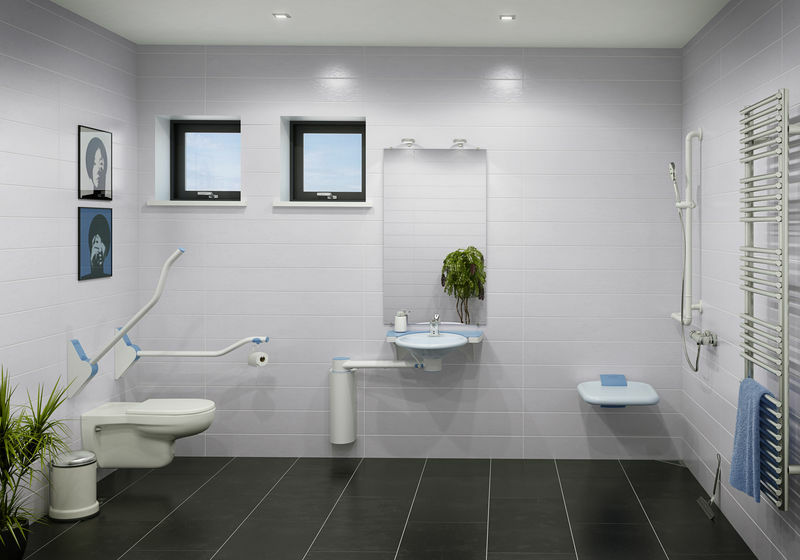 Swings 180° to provide more space for wheelchair users and can make smaller rooms more accessible. 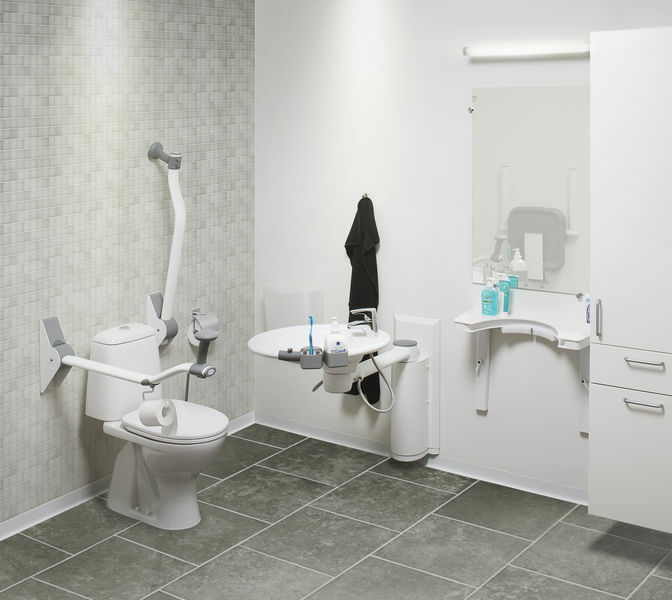 Seated and standing users can use the basin from the front or sides with a height adjustable option available; an optional dock-in provides space to put things down within reach. 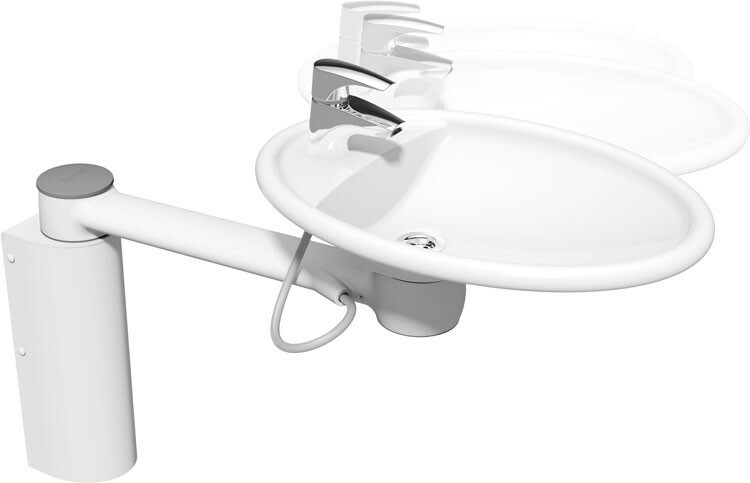 An accessory kit can be positioned on the sink to hold handwash, toothbrush etc. Wall mounted option -ideal for bathrooms where comfortable support is needed but space is restricted. 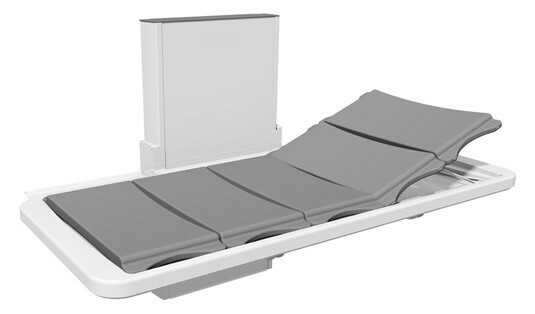 Options include a back support with arms or without arms. 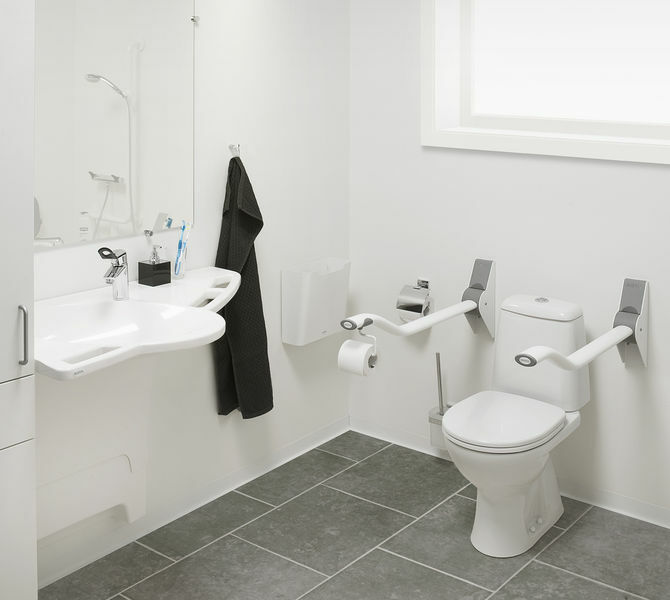 To increase the load capacity a leg support can be fitted too.